PORTER, Ind. - There is "no doubt" the body of a woman recovered from an Indiana lake is that of a troubled Michigan doctor who disappeared four months ago, a private investigator on the case said Sunday. 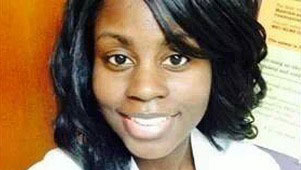 Private investigator Jim Carlin told CBS affiliate WWMT in Kalamazoo, Mich., there are several factors that lead him to believe the body is that of Dr. Teleka Patrick. He has been searching for the Kalamazoo doctor, who was last seen on Dec. 5. Her abandoned car car was found that same day along Interstate 94 in Indiana. On Sunday, Indiana State Police said divers recovered the body of a woman dressed in dark clothing from Lake Charles in Porter, about 15 miles east of Gary, Ind. An autopsy is scheduled this week. "Our family was informed that a body was found that may be our daughter Teleka Patrick," the missing doctor's family said in a statement. "We are waiting for official confirmation from the Kalamazoo Sheriff's Department and have no comment at this time. Thank you for your continued prayers. We ask that you respect our privacy at this difficult time," the statement said. Indiana State Police, the FBI and Michigan police looking for Patrick searched Lake Charles on Jan. 23, but found no evidence related to her disappearance. Indiana State Police said they searched the lake again after a fisherman reported Sunday morning that he had seen "something suspicious floating in the water of Lake Charles, CBS affiliate WSBT in South Bend reported.